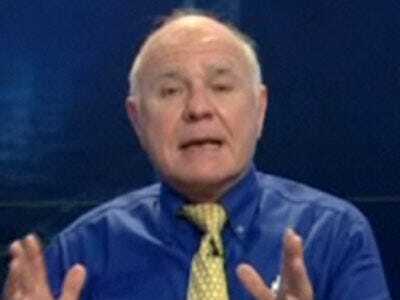 The stock market has “peaked out” and bonds may be on their way to a rebound, Marc Faber, publisher of the Gloom, Boom & Doom Report, said Thursday on CNBC. “I don’t think the market is as overbought as it was in ’87, so I don’t expect a crash. But I think for the time being, the market has peaked out, and I think in the meantime, bonds, which are extremely oversold, could rebound,” he said. The S&P 500 closed at 1,502.52 Thursday. A level of 1,530 could prove to be a longer-term high, Faber said. Faber’s holdings are 25 per cent gold, 25 per cent equities, 25 per cent corporate bonds and cash, and 25 per cent in real estate. Why should investors believe his bearish prognostications? “There was a correction between March, April 2012 and actually June 2012, so we had a correction, and then from September onward, when the S&P reached 1,474, we also had a correction into November, at which stage I said that the market would now rally. So I don’t think I’ve been so totally wrong about the moves of the market, especially since 2009, and I can document those with the performance of my portfolio.